This is your typically great work, with one exception– “fascism” is probably not the word you’re looking for, unless you’re trying to similarly break fascism into a word you can tactically deploy. “Fascism” has meaning far apart from “big government conservatism,” having far more to do with a philosophy and mythology of restoration to a historic “golden age” when a hypothesized “natural order” was followed by an accepting body politic. It blends elements of nationalism, racism, etc together to justify strict hierarchy and singular leader who works for the benefit of that mythology. Describing it takes more space than I really want to devote to a comment, but I’m married to someone who professionally studies fasicsm, neofascism, and the New Right, and I would be happy to ask her to send you some resources if you’re looking for them. I think the academic definition of fascism that you’ve just described, Rhett, actually summarizes the current ideology of big-government conservatism pretty well. I mean, how often do you hear conservatives speak of things like “restoring American greatness” and the notion that if we’d just believe in America and adhere to traditional American values hard enough, we could get back to being a transformational world leader like we were…at some point…in the hallowed past? The nationalism and racism you mentioned fits nicely into the “city on a hill, barbarians at the gates” narrative that Doug has been describing for a few weeks now. I’m sure there’s still lots more to it, but from where I’m sitting the description appears quite apt. Actually, Adam, while I understand where you’re getting this from, it’s far more of a small set of very superficial morphological similarities that really don’t hold up when you look at the history and present of actual fascism. For what it’s worth, that description sounds a lot like modern conservatism to me as well. I can see both sides of this, but the larger point is that however this debate might come out, the word is unusable in a national political context. Mussolini could reincarnate on a white horse, and we’d have to invent some new way to describe him. He’d be an ethno-nostalgic conservative or something. I think there’s a bit more here than superficial similarities. I like reading Mike, but, again, spending my time around people who work against fascist entryism, it’s superficial comparisons being made dramatic. I think I follow what you mean, Rhett. While there are some underlying motivations or potential aims that bear relation to fascism, we don’t see the totalitarian societal control, rigid military-police state type of authoritarianism a proper fascist tries to establish. What Doug mentioned of the Bush administration, for instance, shifts us closer to rather than further from such a society, but he didn’t abolish the elections, institute martial law, or take over all public media. That is some of it, Jeremy. In addition, fascism, long before it seizes the tools of power, already positions itself as anti-democratic and anti-modern. It privileges “blood and soil” narratives of a people and sets modernity and pluralism as the impediments to it. It justifies violence from the beginning, which is why it takes root in street fighting movements. Often, fascism’s climb to power comes about when civic institutions can no longer maintain basic order on their own and reach out to the militant services fascist groups provide. Our conservatives do have superficial similarities to some fascist thinkers, especially when they pull out “barbarians at the gates” narratives or talk about exceptionalism or “restoring America.” That stuff is the general material of the Right, though. Fascism goes farther in directly asserting essential hierarchy (usually based on race), on the right of using violence to enforce hierarchy, on the pseudo-spiritual connections of “a people” and “their leader,” of the idea that diversity must necessarily “confuse” and “weaken” “a people,” etc. To put it another way, an American fascist would absolutely use much of Palin’s or Bush’s rhetoric about America and the American people as part of his/her cultural mythology, but s/he would also take it much farther in directions I cannot imagine any mainstream Republican going. With fascism, abolishing elections, instituting martial law, and taking over all public media are things which are already indicated by the ideology from the get-go; they were already right. Bush’s people played very, very fast and loose with the mechanisms of elections, made tortured rationalizations about the Constitution’s position on executive power, and so on, but they did not at any point claim the concept of democracy was broken and had led to moral decay. Most notably, Bush respected his term limits, and he knew full well that those around him would make sure he did. Bush et al pushed the system in directions that were authoritarian and had notes of serious Right thought to them; in the end, though, they were not after the abolition of our system. And, I think the weekly sift underestimates the appeal of the torture party. Check out my Facebook feed sometime. There’s a pretty solid bloc of Americans who willing to sport the idea that torturing “those people” was a good thing. Sorry. Who are willing to support the idea. Again, fascism sounds like the Bush administration only through some very dramatic and superficial comparisons. Terms have lost their meanings, a new Babel. ‘Liberal’ is a good one. There’s a very simple way to stop people from “breaking” the word “torture”; subject them to it! 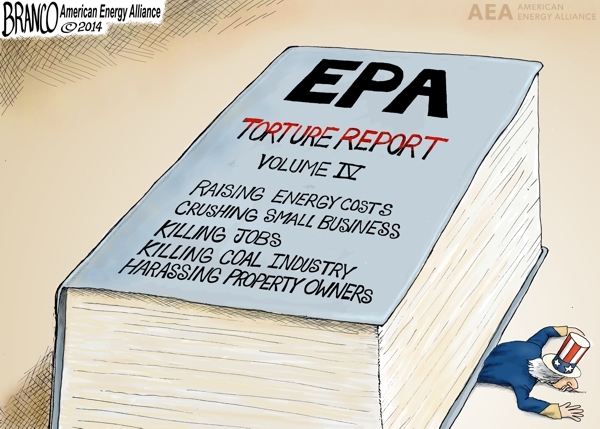 Waterboard them until they admit that, yes, this IS torture, and NO, it’s NOT the same as clean air regulations or even an IRS audit. Of course, this method isn’t available to those of us who possess morals, so I guess we’re screwed.